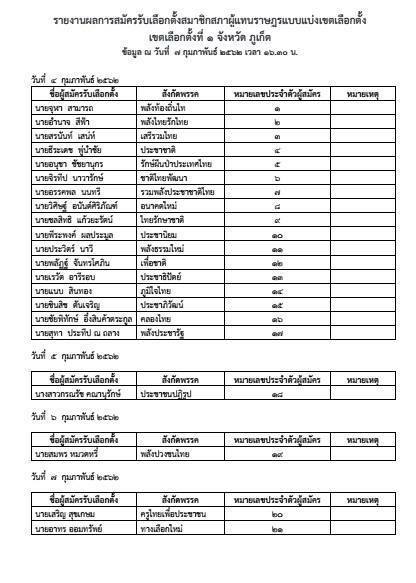 PHUKET: Fifteen more candidates registered yesterday (Feb 8) to contest the two Phuket seats available in the House of Representatives in the upcoming national election to be held on March 24, bringing the total number of candidates running for election in Phuket to 59. See full list of candidates below. 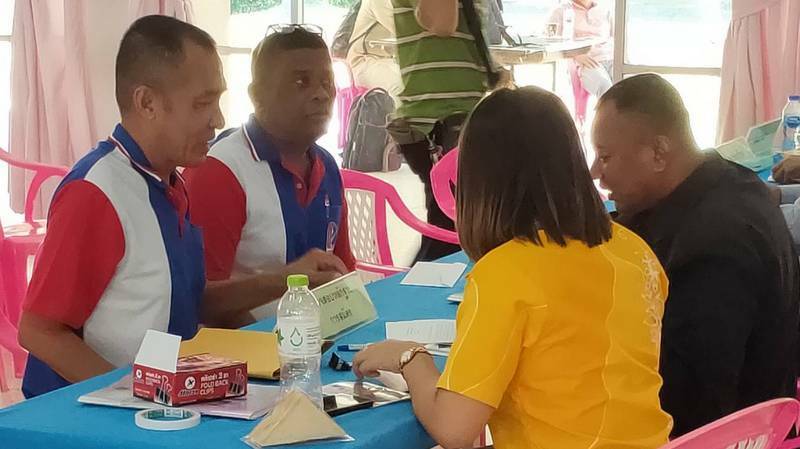 Tawatchai Lertpaothai, one of the nation’s five Election Commissioners, was in Phuket on Thursday to be briefed on the proceedings regarding the registrations and preparations for the upcoming election. 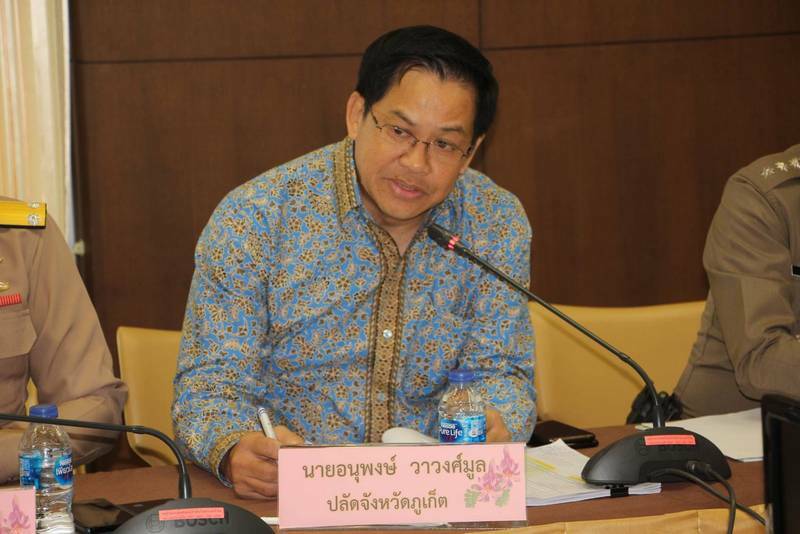 He repeated for Phuket officials to be honest and fully transparent in conducting election processes. 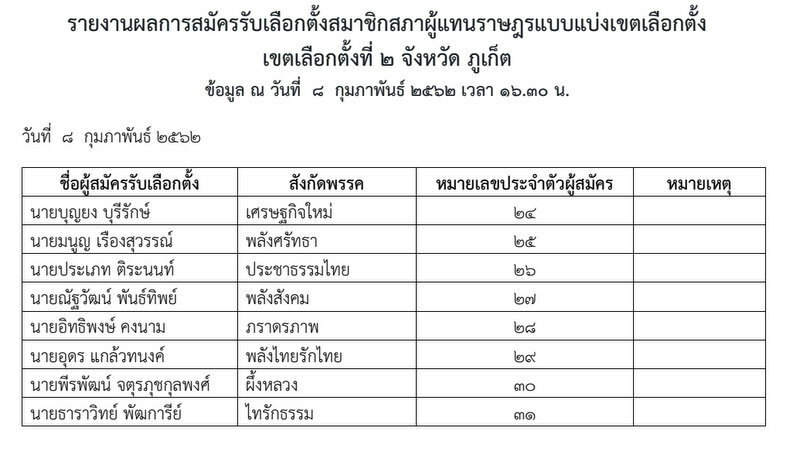 Nutthawat Wongitsaraphap, Director of the Phuket office of the Election Commission (PEC), explained that Constituency 1 contains 141,051 eligible voters, 48,754 residences and 174 polling places. Constituency 2 contains 149,655 eligible voters, 54,294 residences and 194 polling places, he added. 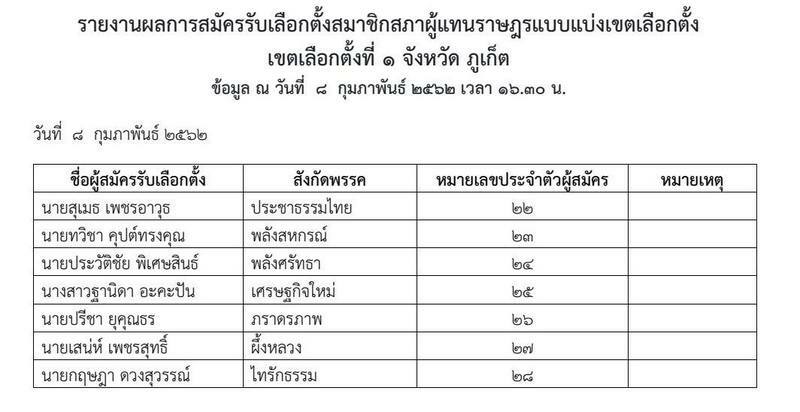 It is expected that the figures presented to Election Commissioner Mr Tawatchai are the more accurate. 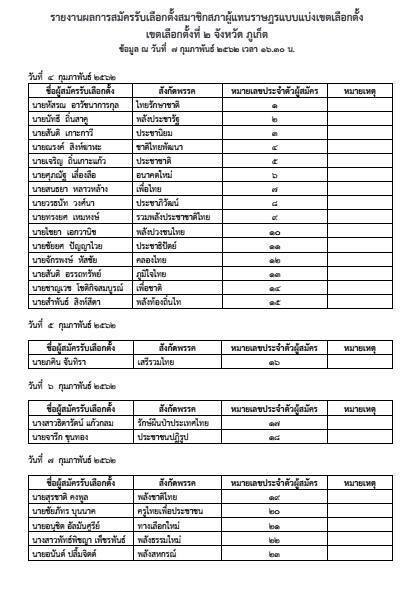 Mr Nutthawat also said that the registration of candidates has been orderly, without any irregularities report. 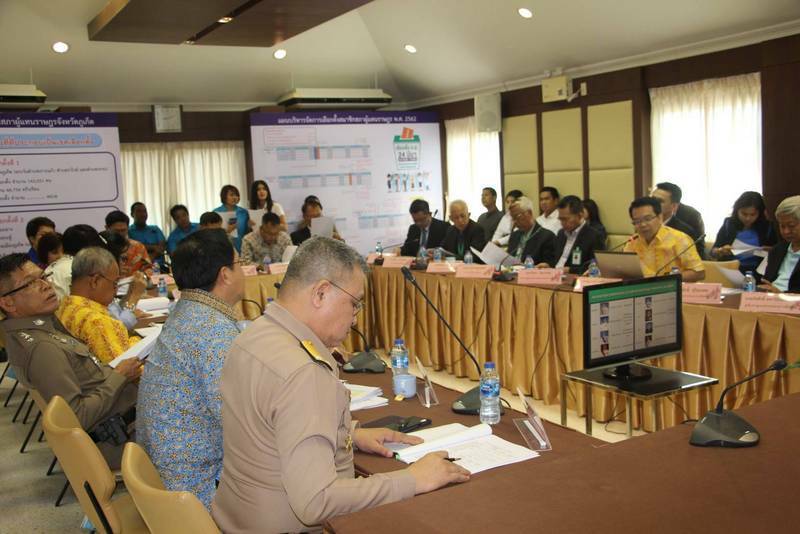 Phuket Provincial Chief Administration Officer (Palad) Anupong Wawongmoon reported likewise, as did Pol Col Vitoon Kongsutjai of the Phuket Provincial Police. 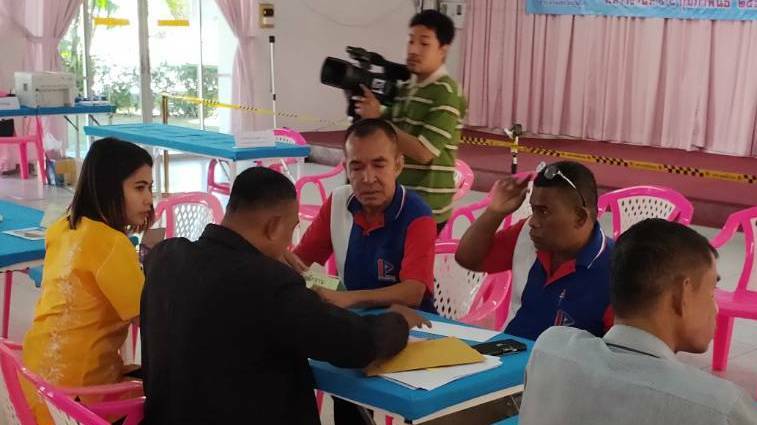 ‘‘Phuket Provincial Police have been fully ramping up their efforts in the fight against criminal activities and drugs during the election registration period, along with providing a fast mobile team that has set out to gather news of the candidates and their sponsors closely, with information from the primary security police in the area of Phuket. 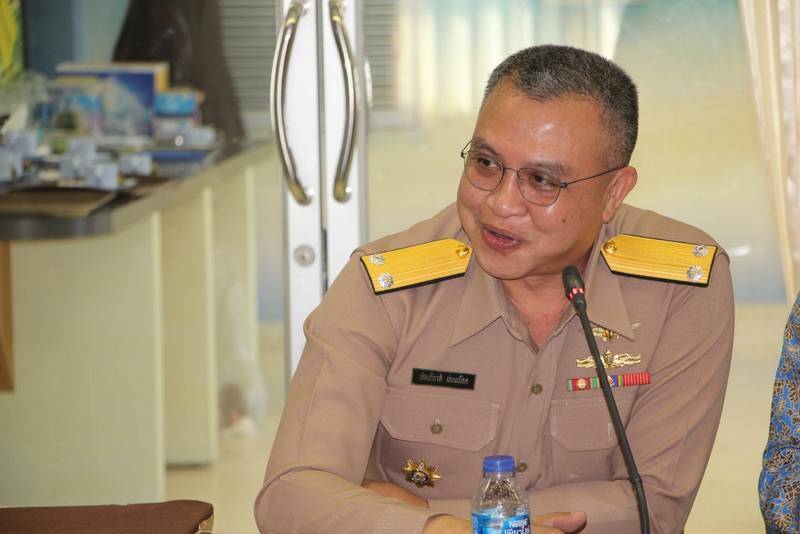 “There is currently no political conflict in Phuket,’’ Col Vitoon was happy to report. 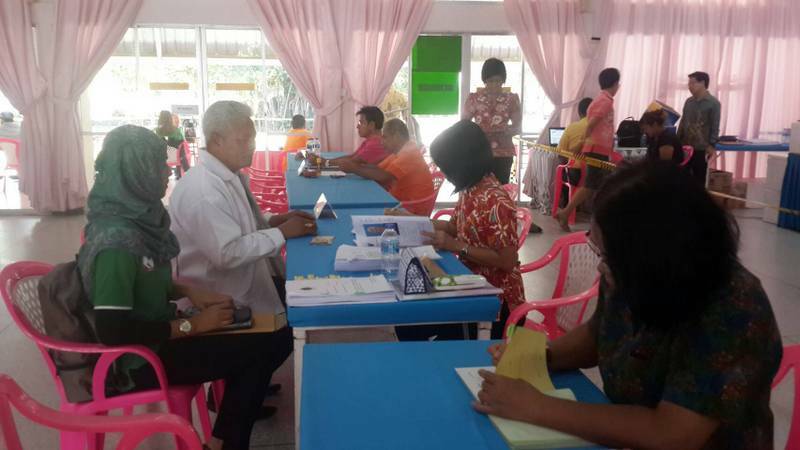 Vit Sitthichet from the Phuket office of the Department of Local Administration also noted, “We have coordinated with the 19 local administrative organisations (in Phuket) to manage and control election spending in accordance with the law. 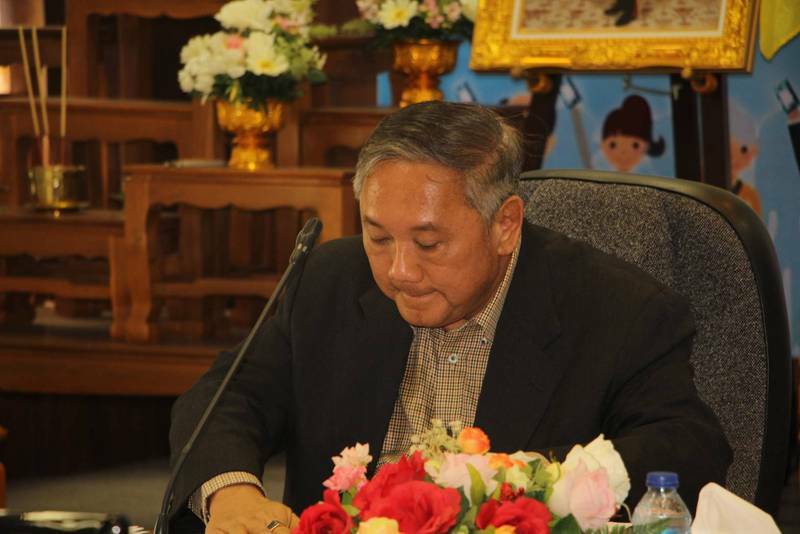 “In this regard, the government officers and involved departments have joined together to manage the election process with neutrality, and if any person is found to have broken the law, they must be charged and face the judicial law process,” he said. “We have ordered a notice to be issued instructing local community leaders not to organise any protests or bring people together in their local areas to hold public gatherings during the election of members of the House of Representatives,” he added. Chaipitak Aungsinkatrakoon – Klong Thai Party.